BH Designs: New in Store! 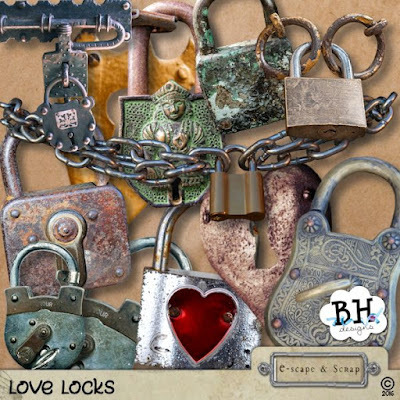 Take a look at my newest product, a digital scrapbook element pack containing 11 individual padlocks for you to adorn your pages or use in your digital scrapbook kits for resale. 3 of the locks come in 2 different formats, making for a total of 14 padlocks altogether. Click on the image to visit my store and grab this set for 25% off, until the end of the month. An update! Believe it or not!